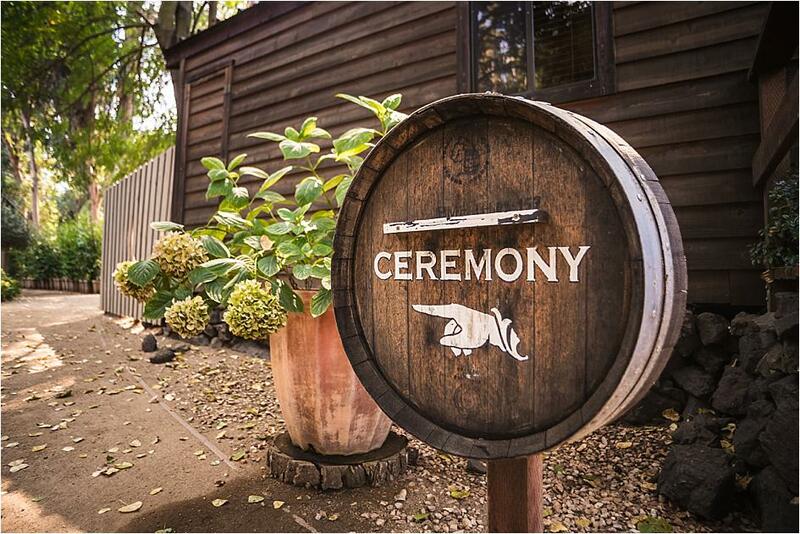 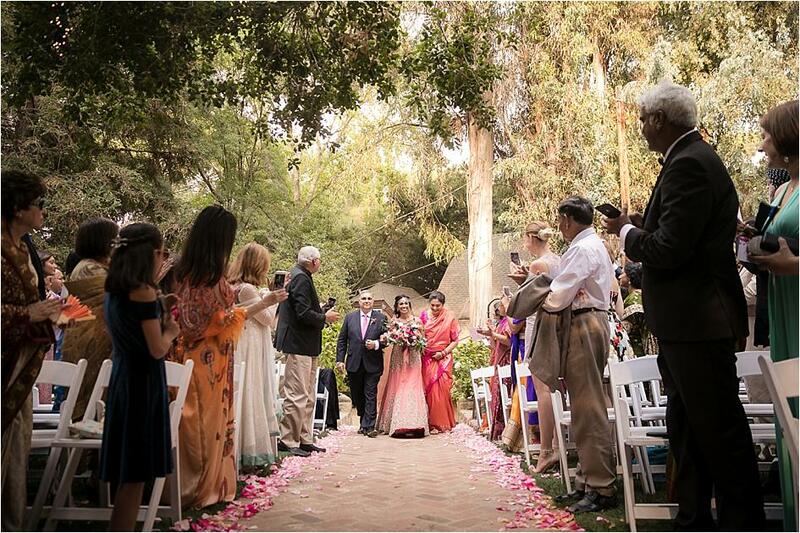 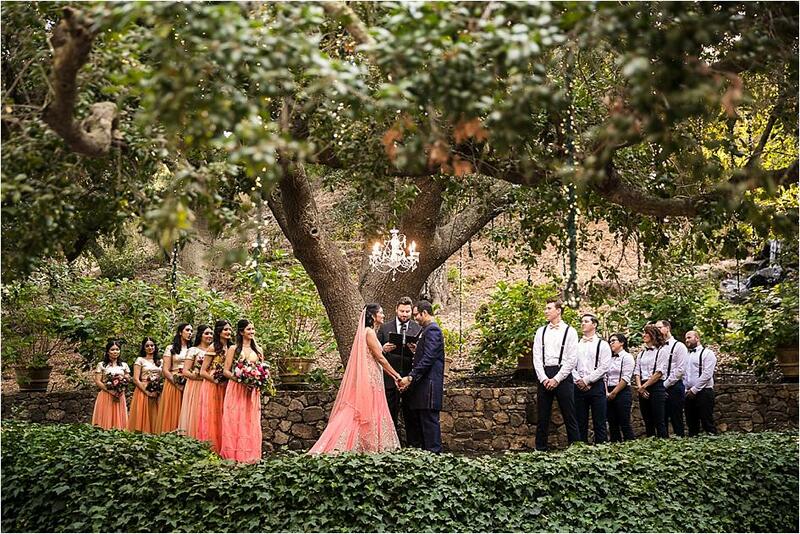 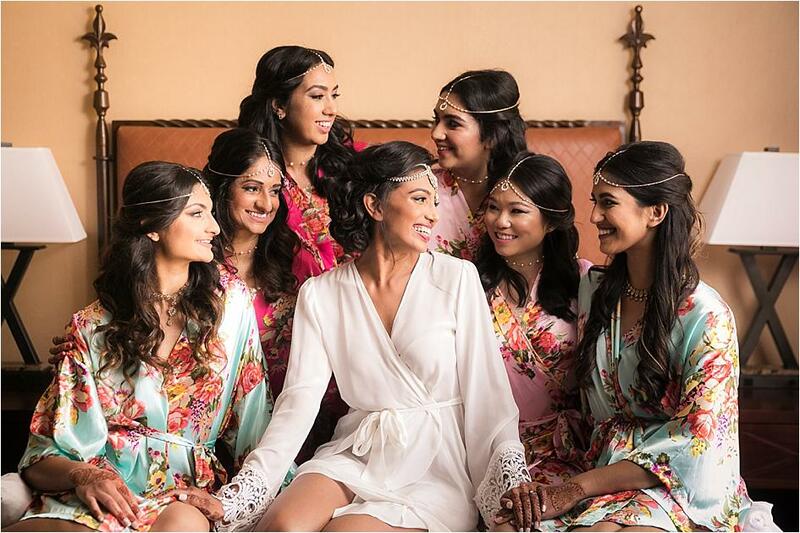 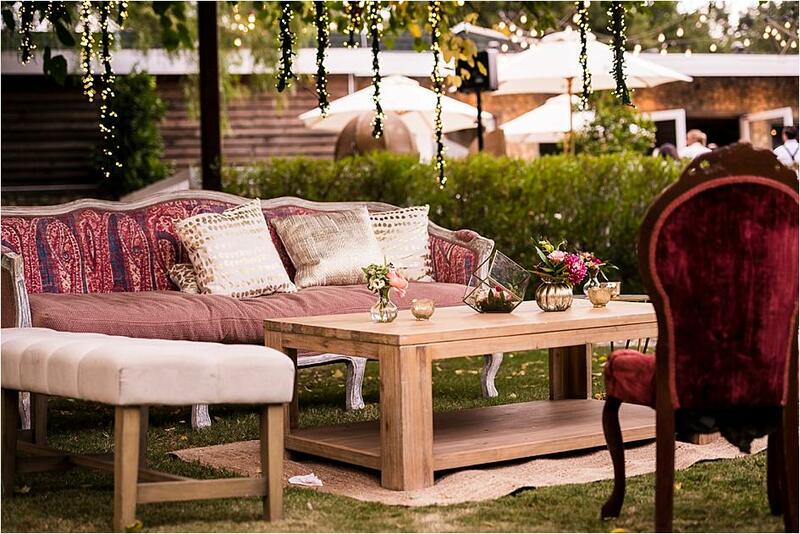 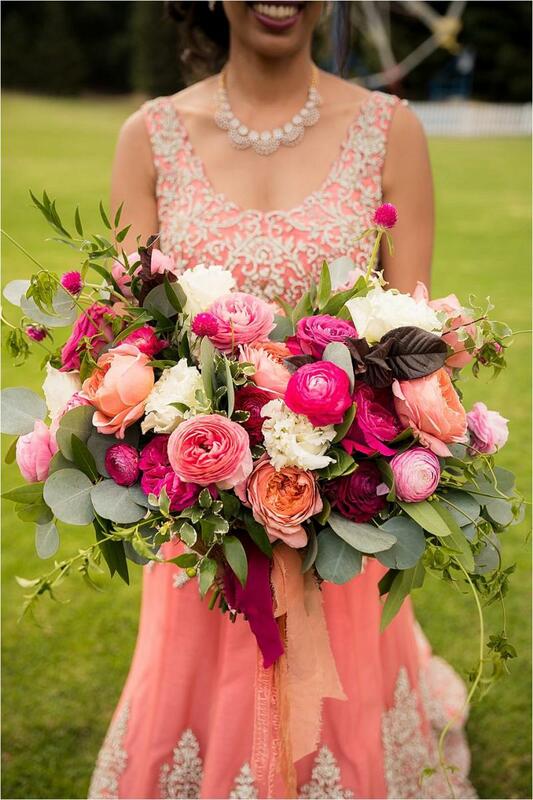 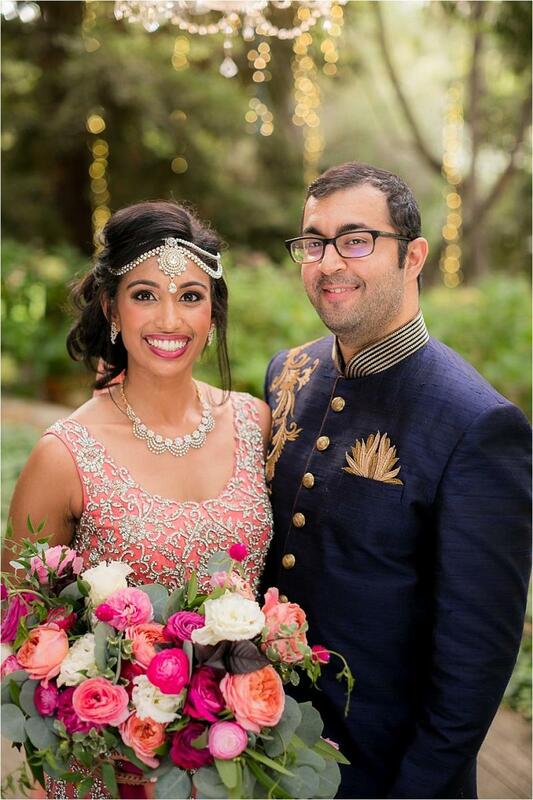 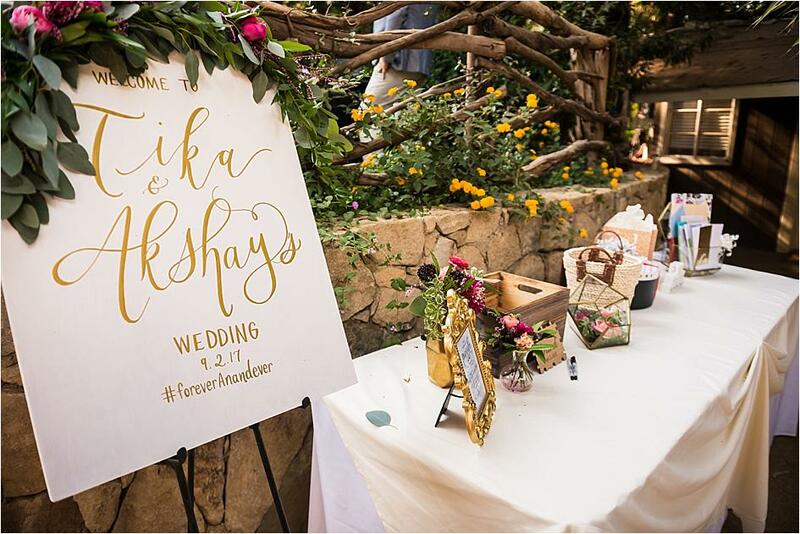 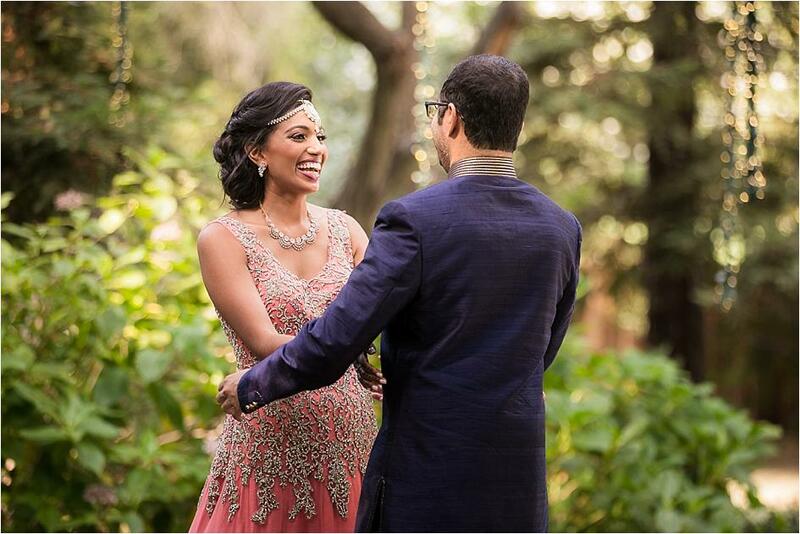 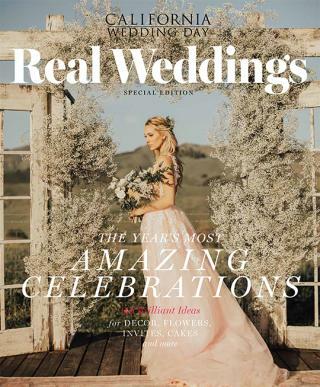 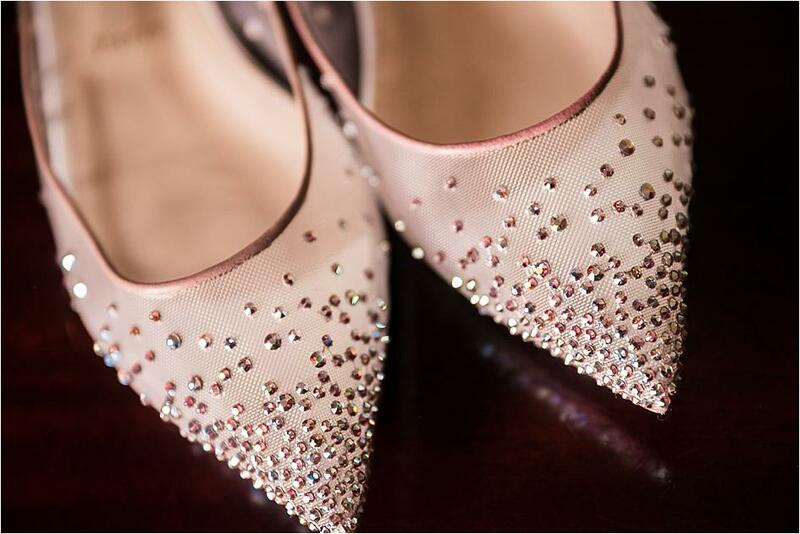 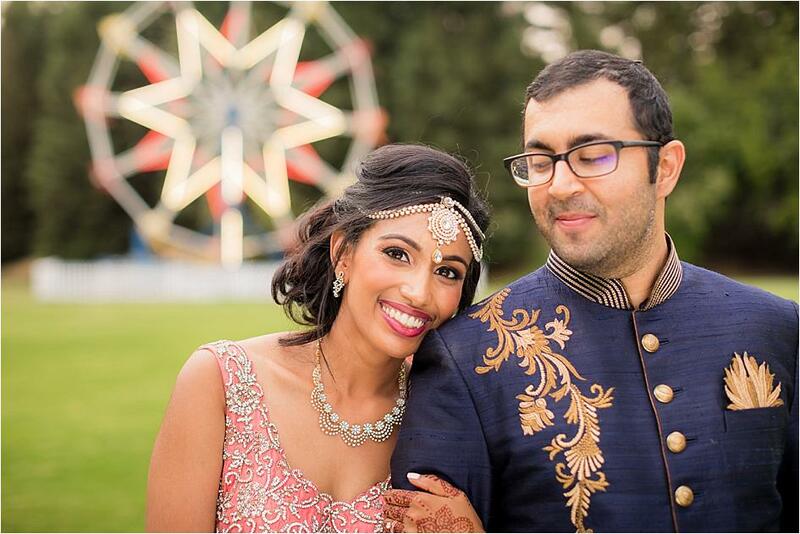 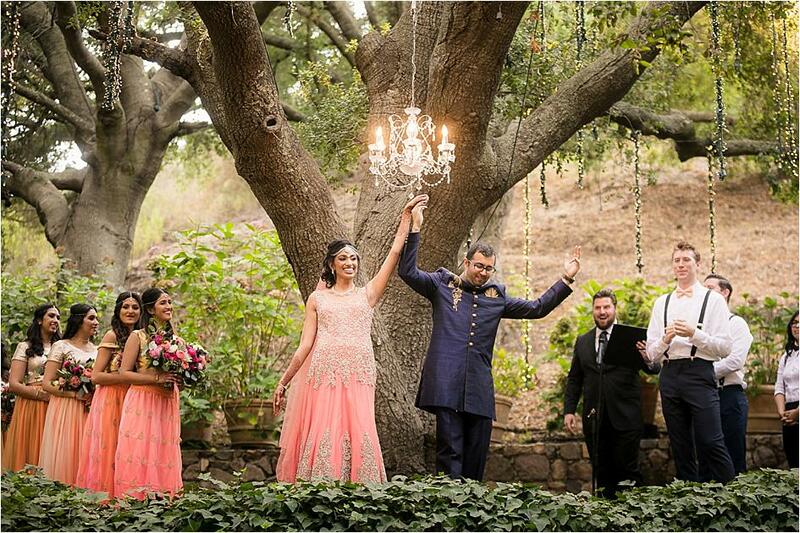 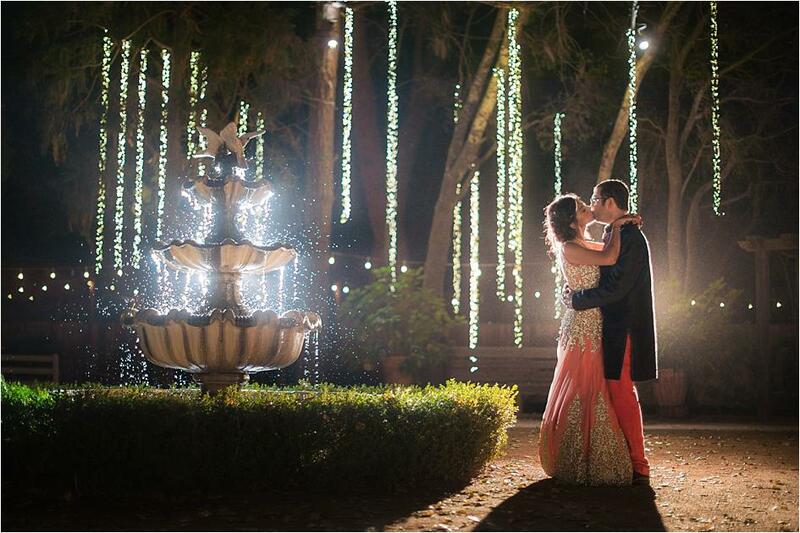 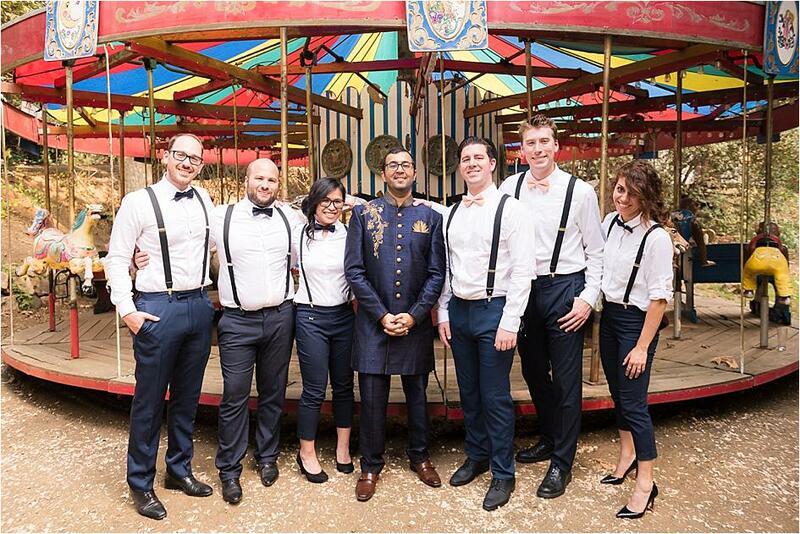 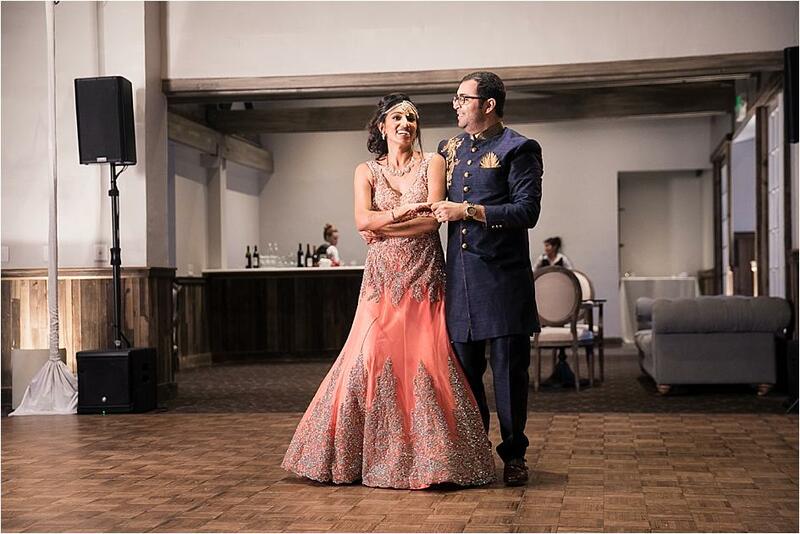 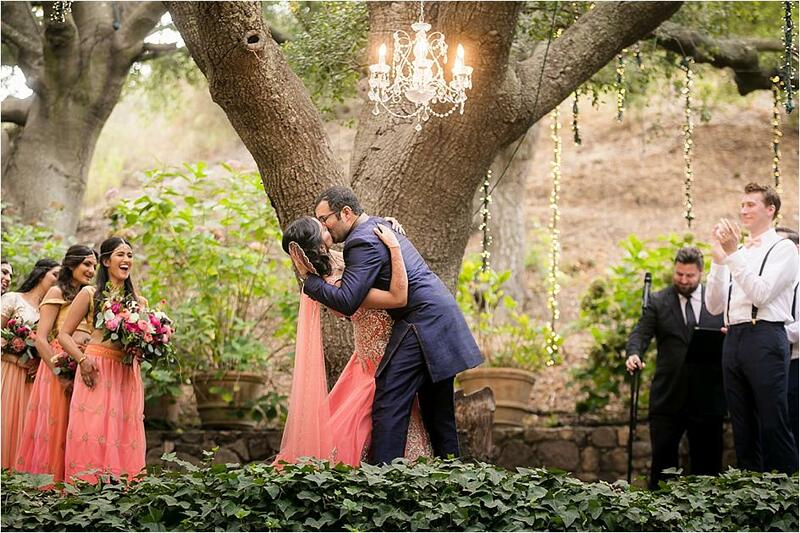 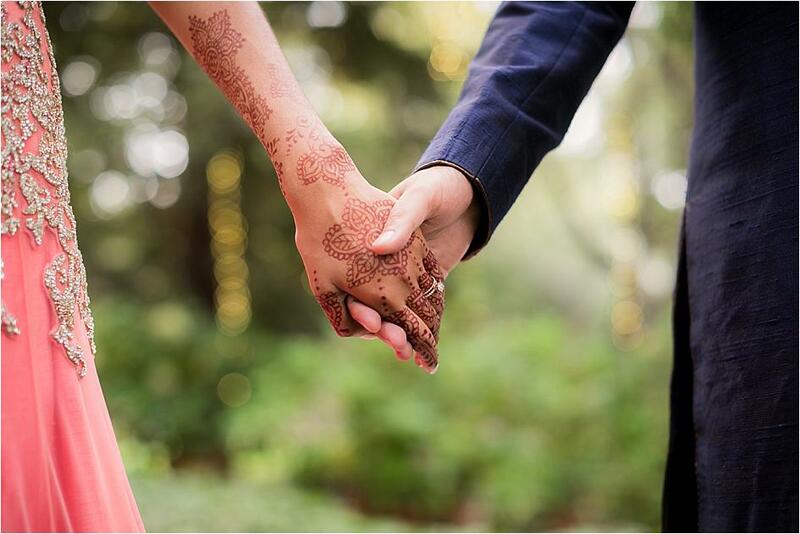 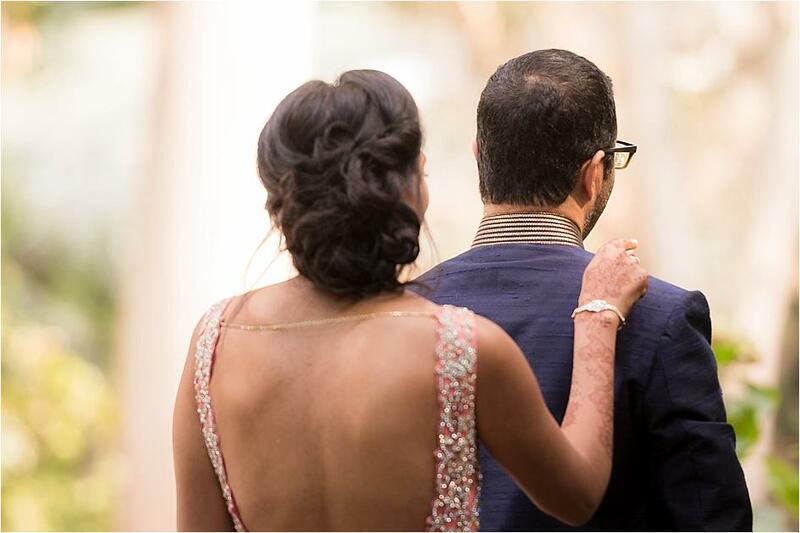 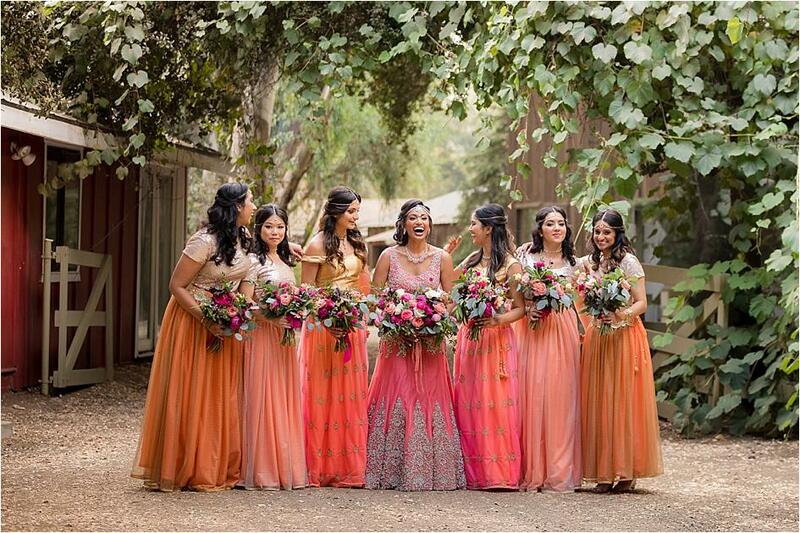 Tika and Akshay's gorgeous Calamigos Ranch wedding will take your breath away. 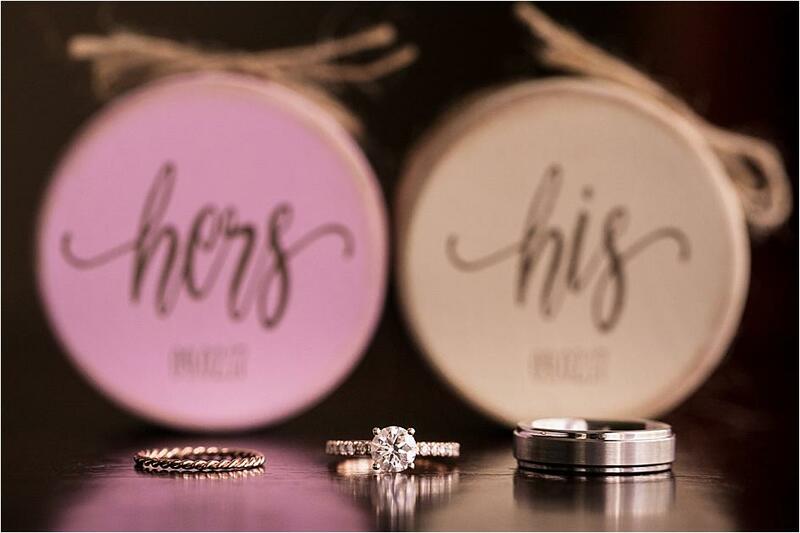 Following a romantic proposal at Emerald Bay Beach surrounded by their family and friends, the couple got to planning their dream day. 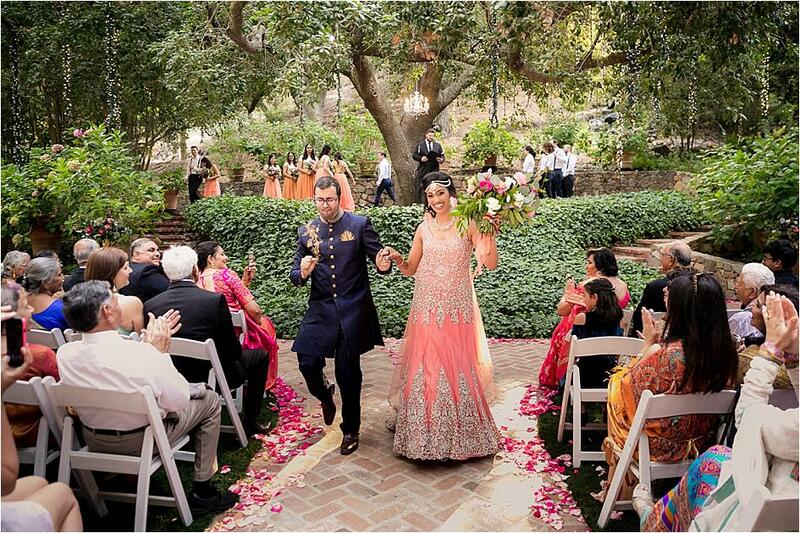 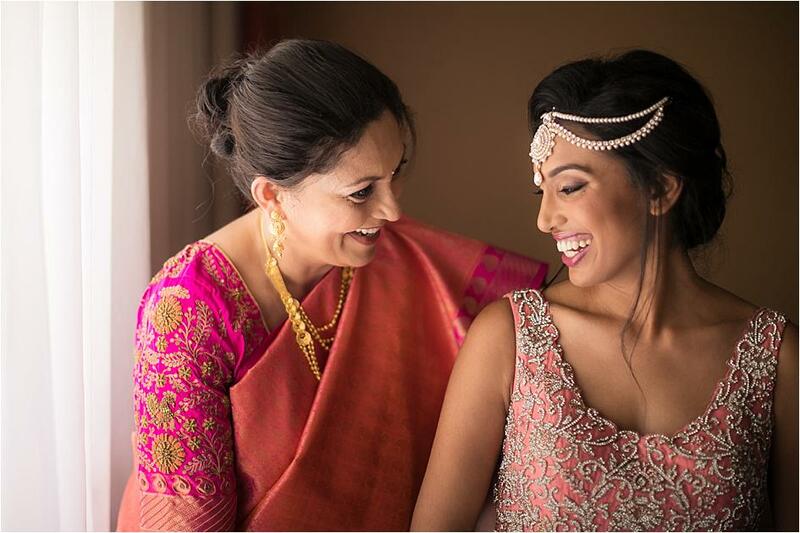 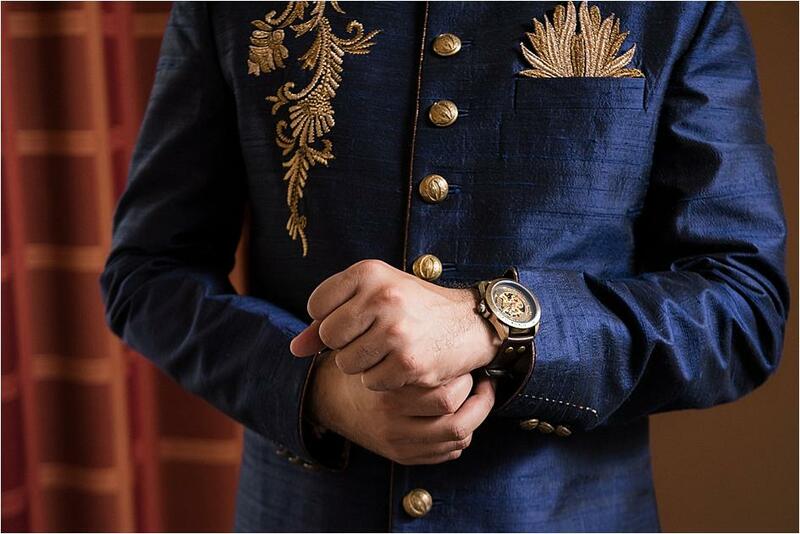 The bride knew she didn't want a traditional Indian wedding, nor a completely American celebration, eventually choosing a design with a blend of the two cultures. 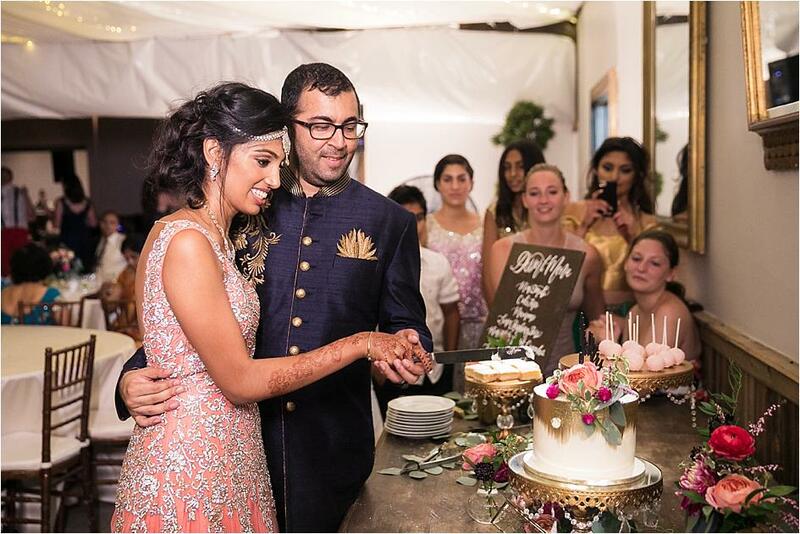 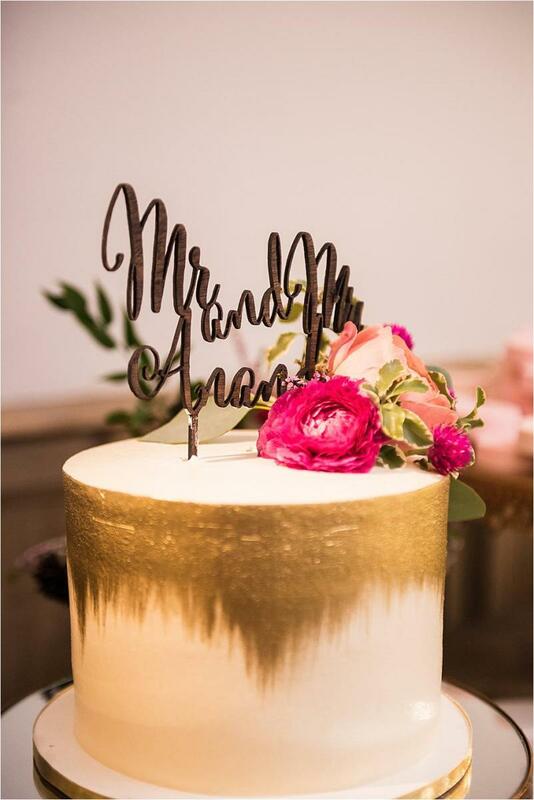 Pinks, golds and lovely neutral tones set the tone for the September wedding and the amazing scenery of the venue brought it all together. 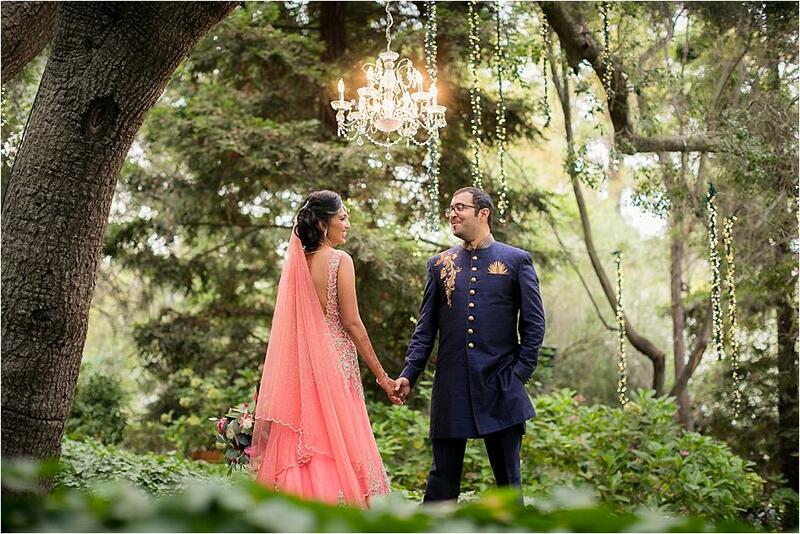 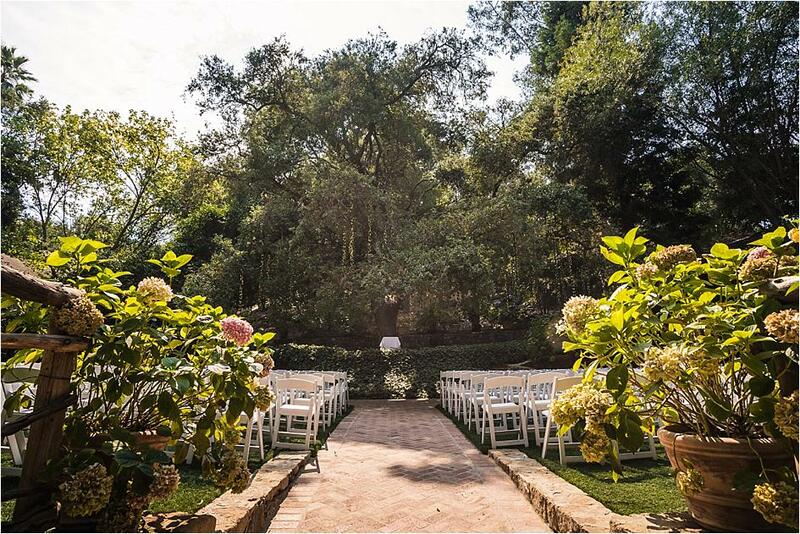 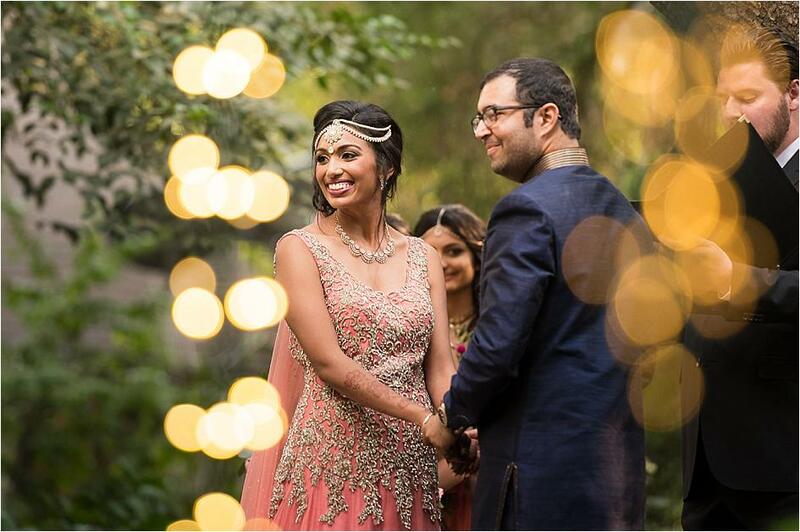 Tika and Akshay had a short and sweet 20 minute ceremony below an enchanting tree, complete with a shimmering chandelier. 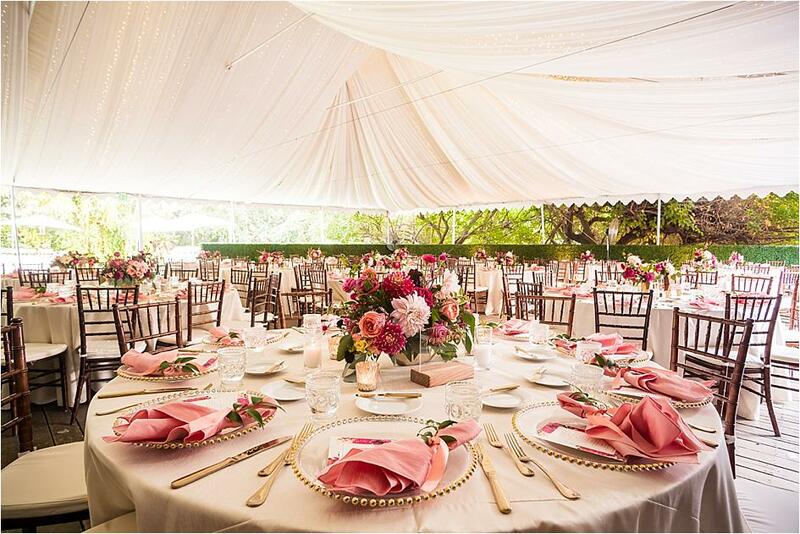 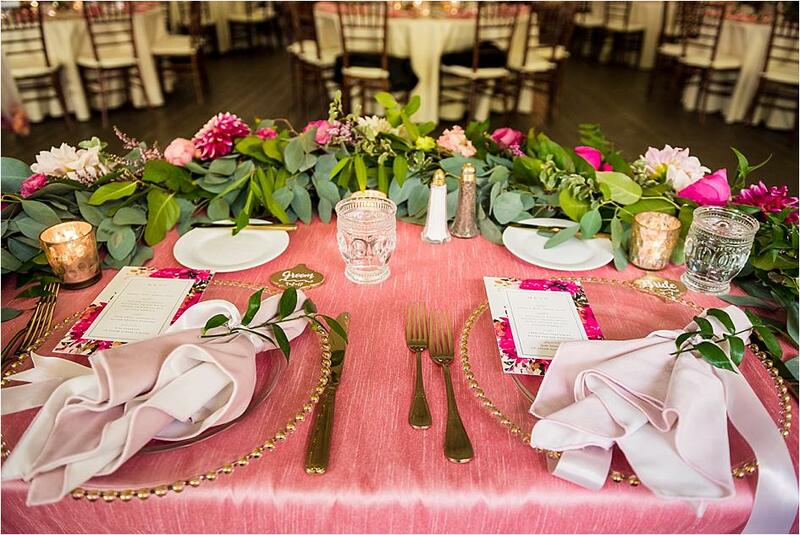 A gorgeous outdoor tent made for the prettiest reception spot, where amazing pink hues were paired with glass and gold table settings to create a chic space for the couple's 325 guests to celebrate the big day. 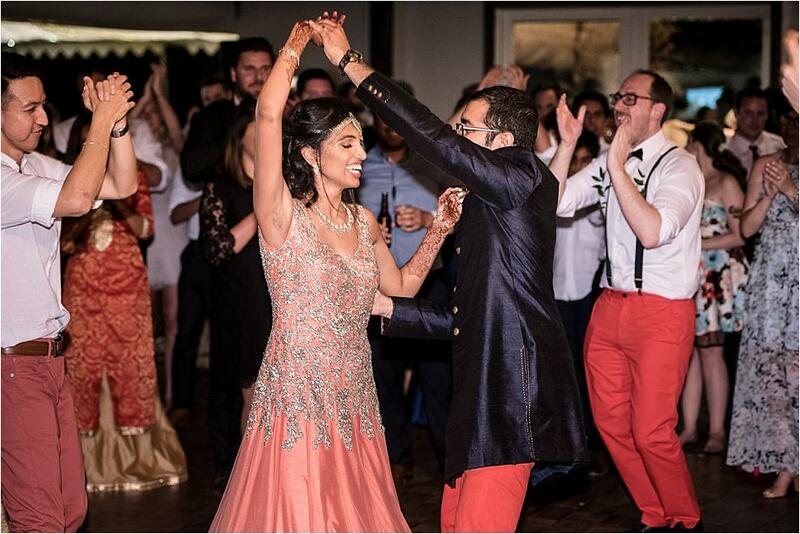 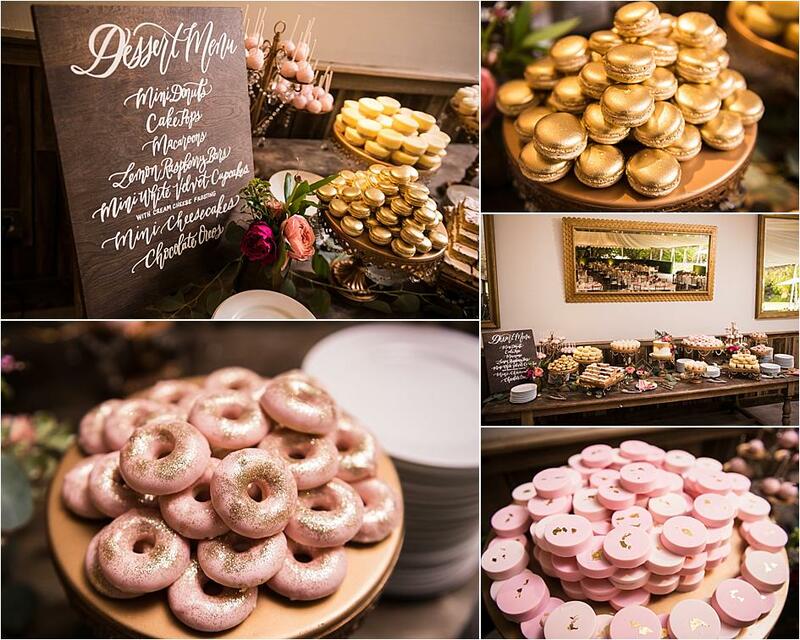 Desserts and dancing followed, closing out a perfect day of wedding festivities.